The Public Policy Institute of California pre-election poll has found that more than three times as many Californians were following news about the drought than news about the race for Governor. 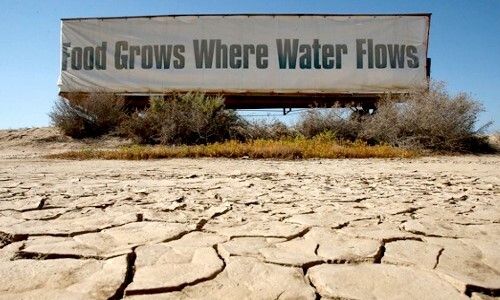 Sixty-two percent of voters said they were very closely following the drought. KQED in San Francisco reported it was the first time since 1998 that water and drought were at the top. A total of 72% of the 1,704 polled said the supply of water is a big problem in their part of the state. All portions of California yielded similar results. The strong concern for water and drought issues also translated into support for Proposition 1 that was broadly approved November 4. Governors across the West have told the U.S. Forest Service (USFS) that its proposed directive on groundwater resource management could have significant implications for Western states and their aquifers. A letter signed by Nevada Governor Brian Sandoval, Western Governors’ Association Chairman, and Oregon Governor John Kitzhaber, WGA Vice Chairman, said states have exclusive Authority over groundwater management, under federal law and U.S. Supreme Court decision. He said the May 6 USFS proposed directive would not specifically authorize or prohibit any uses, and is not an expansion of authority. Rather, it provides a framework that would allow the Forest Service to clarify existing policy and better meet existing requirements in a more consistent way across the NFS. A long ignored potential water source is being considered as a means of boosting thirsty Southern California’s supply. Tapping dry weather runoff could help supply water for some 668,000 Southland homes each year. 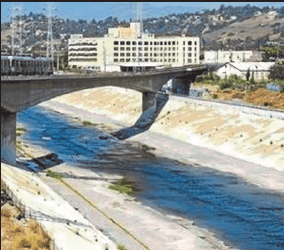 The Los Angeles Rivers flows with dry weather runoff that is typical of water waste that Southland officials want to tap. This is water that flows, even in dry weather, through gutters, storm drains and concrete channels, often originating from over-watered grass and leaky water mains. In Los Angeles County alone, officials estimate such water can add up to more than 1,000 acre-feet per day. “Dry-weather runoff has been the poor, forgotten Cinderella out there,” said Esther Feldman, who heads the Community Conservation Solutions non-profit in Venice. Legislation signed by Governor Brown will require agencies to consider dry-weather water capture in future water-saving plans and water-recycling projects. Funding is to be part of newly-passed Proposition 1, the $7.5 billion water bond. What will be California’s largest desalinization plant is now more than 65% completed in San Diego County. The plant in Carlsbad should begin making water deliveries in about a year. The $1 billion project will produce more than 150 acre-feet of water a day and will meet about 7% of the county’s need for water in 2020. Poseidon Water will sell the water to the San Diego County Water Authority. A crucial water conveyance tunnel below Hetch Hetchy Reservoir could collapse and officials are weighing options for its repair or more costly replacement. Mountain Tunnel helps supply 2.6 million residences and businesses in San Francisco and other parts of the Bay Area. Officials say repairs would cost $100 million and require a decade of annual two-month closures. A new tunnel would cost up to $630 million.